Heat exchanger designed for air conditioning, industrial refrigeration, systems of heating or cooling of air, oil cooling or as condenser or evaporator. Using of corrugated fins allows to achieve very efficient heat transfer surfaces. Pressure loss can be corrected by pitch of tubes and fins. 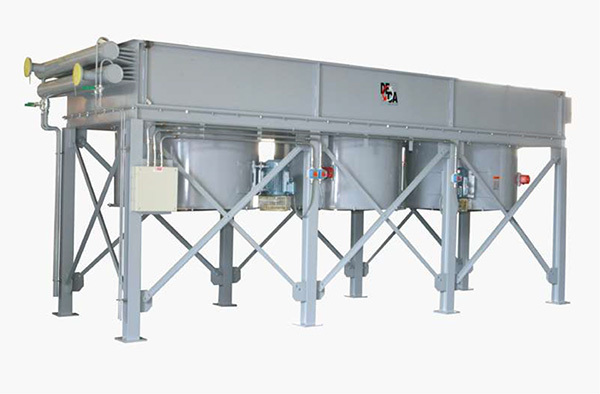 Each heat exchanger is individually designed according to the operating parameters. If the installation allows/requires, it is possible to combine multiple sections for the purpose of maximum plant efficiency.